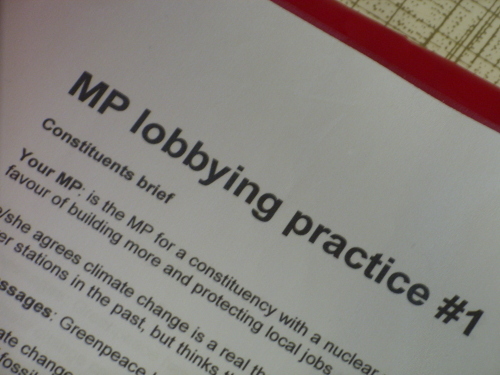 Since June, I’ve been working in a small way to support Greenpeace UK in developing a training package on political lobbying skills. 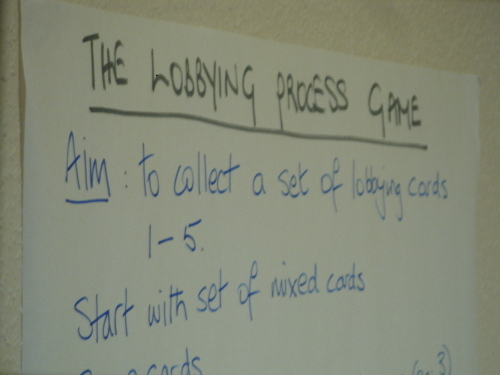 The package will in turn play its part in the formation of a new network of lobbyists. Up until recently my role was simply suggesting potential improvements to the developing agenda. On Saturday I joined Greenpeace trainers and a dozen enthusiastic trainees in Birmingham to see the agenda working in action. It’s rare that I get the chance just to observe. My copious notes will now be fed into a meeting next month. The good news is that the agenda is 95% there. Greenpeace staff have paid real attention to engaging all learners. They’ve created some innovative activities. 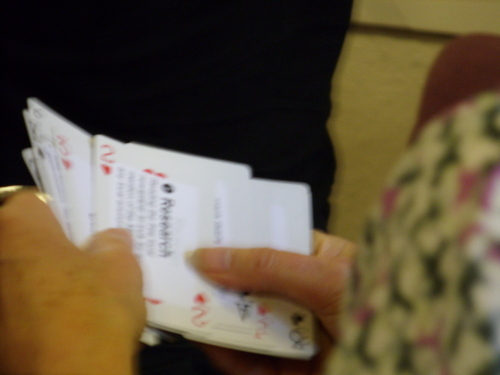 For example, I’m a big fan of using the format of the card game ‘Pit’ to introduce the stages of the lobbying process and wake people up after lunch. And the agenda is supported superbly by the presence of an ex-MP throughout the session. Then in mid-November Rhizome will be facilitating a training for trainers for lobbyists interested in sharing their skills and experience through training others. Of course the planned progression of the project (develop training then train trainers prior to sending them out to train) isn’t working out quite as envisaged. This is the world of campaigning, after all, and there are always events to respond to. Stop Climate Chaos’s Big Climate Connection mass lobby now takes place before our training for trainers so some brave souls will be asked to jump into the deep end and deliver trainings for lobbyists before being trained as trainers. But I can’t complain. 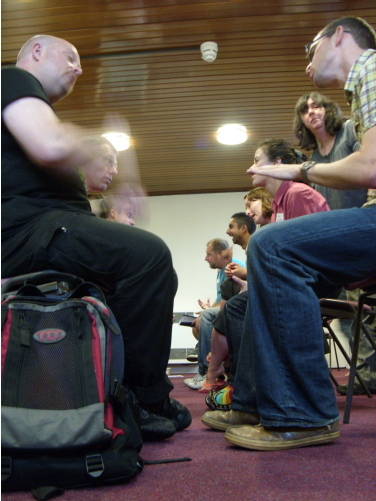 The first formal training I ever delivered was Greenpeace nonviolent direct action training. My preparation? Taking part in the workshop once and then being handed a hard copy of the agenda. I didn’t attend a training for trainers until almost a decade later. < Footpaths – Community Carbon Reduction	> Islam and climate change – book launch!